This venue is situated at the top of the iconic Sea Containers building on vibrant South Bank, all but a stone’s throw away from the City of London. 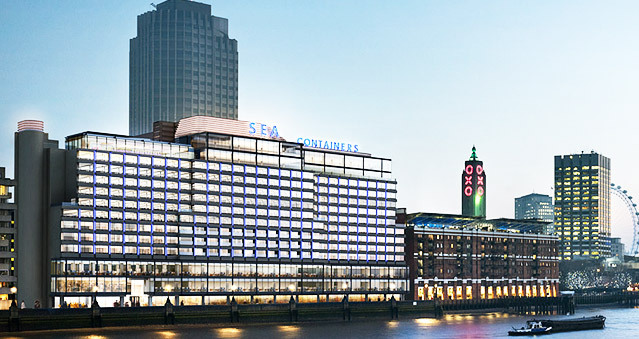 Sea Containers venue is less than a 2 minute walk from London Blackfriars Thameslink and Underground stations. Sea Containers offers a vast 25,000 square feet of newly designed meeting and event space, which includes 5 internal areas boosting floor-to-ceiling windows and a striking roof terrace. All spaces are set against a backdrop that spans the London skyline. Ideal for: The Haka Experience, Murder Mysteries, The Killing, Taken Experience, Ipad Movie Making and much more!